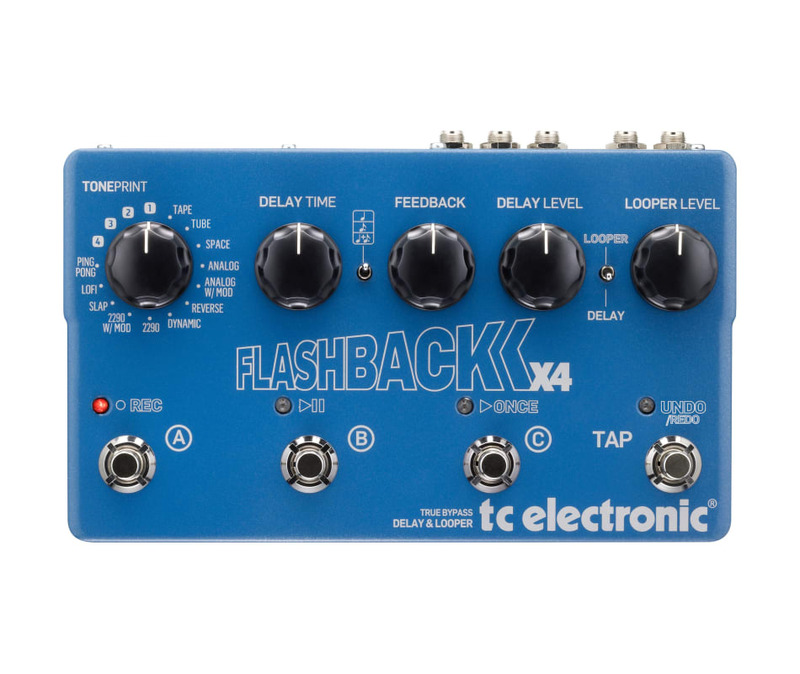 If you're an electric guitarist, TC Electronic's Flashback X4 Guitar Delay Stompbox is essential. TC Electronic scored big with the Flashback, and has been listening to your feature requests. The result is the 4-button Flashback X4, which gives you the sonic goodness of the original, only now with 12 delay types, three presets, a 40-second looper, tap tempo - and four TonePrint slots that let you load in presets from your favorite artists via your smartphone or computer. From luscious analog tape echo to insane reverse delays, your pedalboard needs only one delay - the TC Electronic Flashback X4.